In 2009, five friends introduced the Newport Gangster Tour in Newport, Kentucky as a fundraiser event for a local school to raise money for a student service trip. The Gangster Tour fundraiser was unexpectedly and overwhelmingly successful, which inspired us to create American Legacy Tours later that same year. The reason for the company is to share our passion about the rich history of Cincinnati and Northern Kentucky with local residents and visitors. In 2010, our third tour was introduced, the Queen City Underground Tour, in the heart of Over the Rhine. The Queen City Underground Tour quickly became our most popular tour, which explores the history of OTR and Cincinnati's rich brewing heritage. Today, American Legacy Tours offers over 17 guided tours and events, including seasonal Haunted Tours and Christmas Saengerfest (a Christmas themed music festival in OTR) and is a must do tour for anyone in the Cincinnati and Newport area. Our walking tours (and one bus tour) run the gamut from Underground Tours and Historic Tours to Haunted Tours and Food and Drink Tours. 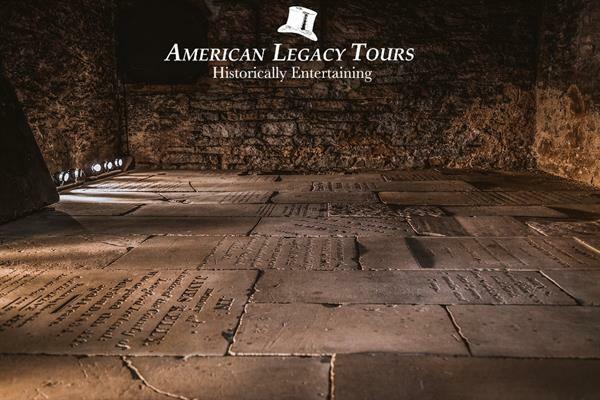 American Legacy Tours has been voted "Best Historical Tour" by Cincinnati Magazine. We have been featured in National Geographic, Forbes Travel, the BBC America, the Politico, the New York Daily News, Midwest Living, and Fodor's Travel. Most recently we have been listed as a must see by lonely planet. Welcome to our amazing area and we hope you give us a chance to show you around.